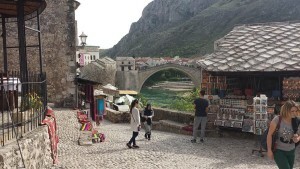 Tuzla, Sarajevo and Mostar are places that often reached the front pages twenty years ago, when an inconceivable civil war ranged. There are only a handful 0.02% (750) Protestants (evangelicals) in Bosnia, not even 0.02% (25 congregations) on a population of 3.8 million. The country is divided into three groups, which are traditionally associated with religion: the Bosnian Muslims (50%), Serbian Orthodox (35%) and Croatian Catholics (15%). In the capital Sarajevo (360,000 inhabitants, 90% Muslim) live 300 Bosnian evangelicals, with in addition nearly 100 missionaries, 90% of all the missionaries in the country. I met him in January 2016 for the first time, at a meeting to assess the demand for missiological education and training of ministers. He and his wife Sanja witness to a radical conversion in his life, as a former mafia boss, but they also testify of God’s care and faithfulness, because he was healed three times from a very serious illness. Slavko is a real bridge builder, respected by many. Regularly he is invited to conduct evangelistic meetings for university students in England. Read his life story here. Just an impression of a few meetings that gave Bosnia a face. Zoran is a pastor leading a congregation of about 30-40 members in Tuzla. He is the only Protestant pastor in an area of half a million inhabitants. His closest colleague is Slavko who lives three hours away from him. Nives, his wife studied at the ETS. And then you return home, full of impressions. Often through steep and narrow streets we managed to find the addresses indicated, because congregations are not located in church buildings, but in ordinary houses. Not easy will I forget the carcasses of houses, that even after twenty years witness of the enormous destruction of sometimes entire villages. How is it possible in a country that is officially 50% Christian? Bosnia is a beautiful country, with reasonably good roads. Apart from the need to repair the visible damage of the war, under the surface there is still a kind of triple apartheid: Bosniaks, Serbs and Croats. Amid such a complex situation, the small evangelical churches live rather in isolation. This is not surprising, as they do not belong to one of the three dominant communities / religions. One pastor characterized the situation as: “the ground for the Gospel is very tough. There is a lot of resistance.” Mission is certainly no success story. I was surprised not to have heard the question (or the struggle?) of How to communicate the gospel in a country with nearly 50% Muslims. A Bible school considers cancelling the only course on Islam. 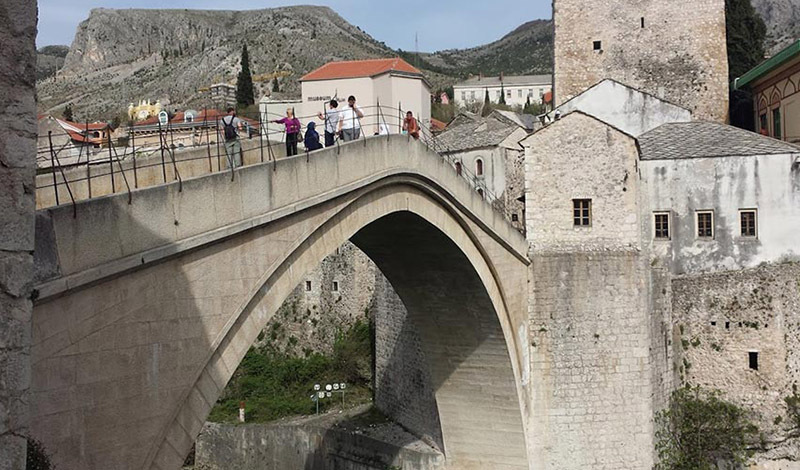 The small Protestant churches in Bosnia face immense challenges. One is is the challenge of facing the many “shades of the past” as is the case elsewhere in Central and Eastern Europe. How to bring about transformation by translating and by sharing the gospel of Jesus Christ in a relevant way, that’s the big question. How to deal with the past? These are major challenges for the churches, and as a missionary you also meet these “shadows”, in many different forms. It does not help at all to respond with an attitude of: “I have a solution to your problem.” What is very important is that ultimately only the Lord can give a solution, and that you might perhaps serve as an instrument, as a connecting link. To quote the words of Zechariah, you see around you that there are “big mountains”, which by His Spirit turn into “a plain”. “Not by power, not by might, but by My Spirit, says the Lord of hosts.” In this complex situation, cooperation in God’s mission seems to be a keyword. Perhaps the many missionary organizations do contribute unwittingly to reinforce these divisions. It is encouraging to hear about new forms of cooperation, namely in Eastern Europe itself. Missionaries from Ukraine go to western Bosnia to plant new churches. Clearly, that after such an orientation visit you return home with more questions than answers. Pray that in a situation with so much division and brokenness that the whole-making power of the Gospel will break through. Pray for pastors and Christian workers, for wisdom to be a mediator in such a divided situation and to speak the right word at the right time. Pray also for wisdom how to relate to this situation in the training of ministers.